Astronomy takes a close look at the planets, stars, comets, meteors, and other objects found in outer space. The study of astronomy is not only a fascinating topic but it is also integral to discovering other planets and galaxies outside of our world here on earth. Whether it is the moon, stars, or other amazing astronomical objects, understanding other planets and celestial bodies can help people to better understand our own world as well. Other planet’s environments give us keys to how different atmospheres function. Through the use of decades of research as well as tools like telescopes and large planetariums, people can get a clear vision of the world outside of our own. Solar System Quiz – Take this fun quiz to learn more about the solar system. Planets in Proportion – This lesson plan for older students explores the planets in their proportion to the earth without the use of telescopes. Best of the Solar System – A thorough lesson plan that discusses the solar system and planets. Planets & Discovery of the Solar System – This plan is for older students and explores the theory of Copernicus. Solar System Guide – This page names all of the planets and includes beautiful color photographs. Mars Landform Identification – Learn about the mysterious planet of Mars using this helpful glossary and links to more about the red planet. Space Stuff – A variety of educational topics on space and space exploration. Gravity & Weight on Planets – This lesson plan combines astronomy and physics so kids can learn about how gravity applies on other planets. Classification of the Solar System – A lesson plan designed to teach students how the different planets are classified. How Big is That Star? – From NASA, a lesson plant to help kids determine just how big a star is. Constellations – This lesson plan will teach students how to identify the various amazing and beautiful constellations in our universe. Constellation Myths – Explains the majestic myths behind the constellations. Stars & Constellations – Explore the stars with this lesson plan for grades two and three. The Stars – A lot of great information about the stars and constellations, geared towards kids. Starchild – Visit this amazing site with a large amount of resources for the little astronomer! Stars & Galaxies – Features beautiful photos of galaxies and constellations, as well as information abut the stars. Facts for Kids – A quick list of facts about stars for children. Color of Stars – Connecting light, matter, and color and how they all apply to the different colors of the stars. The Sun and Moon – A lesson plan to help children identify the sun and moon. Includes recommended reading list. The Sun & The Earth – Explains how the sun and the earth relate. The Sun: An Introduction – A simple lesson plan for elementary aged students, introducing them to the sun. The Sun & Other Planets – This page explains how the sun, earth, and moon moves, then leads children to other pages that explore outer space. The Warmth of the Sun – This lesson plan explains how the sun helps to warm the earth and air around us. Sun Mask Crafts – A simple and fun craft for pre-kindergarteners to about first grade; make masks of the sun. During the craft exercise, discuss the sun and how it helps people on earth. Phases of the Moon –An easy lesson that teaches students about the different phases of the moon. The Moon Q&A – Some questions and answers about the moon to help kids understand this fascinating planet. Walking on the Moon – This interactive lesson plan covers the amazing moon landing and how astronauts can walk on the moon. Blast Off! – Using a virtual moon trip, the lesson plan incorporates vocabulary and astronomy together. Moon Observations – With this lesson plan, you can observe the moon at home and learn about its many fascinating features. Adding the Moon – A classroom lesson plan to show students how the moon rotates and gravitates in outer space. Interactive Moon Lesson Plan – A fun lesson plan designed for younger students to help educate them about the moon. Telescopes from the Ground Up – A lesson plan designed to teach students how telescopes operate. Telescopes & Wavelengths – This plan teaches how telescopes use different types of wavelengths to see in outer space. Light & Telescopes – A thorough plan explaining how light is used to see through telescopes, as well as information about Hubble. 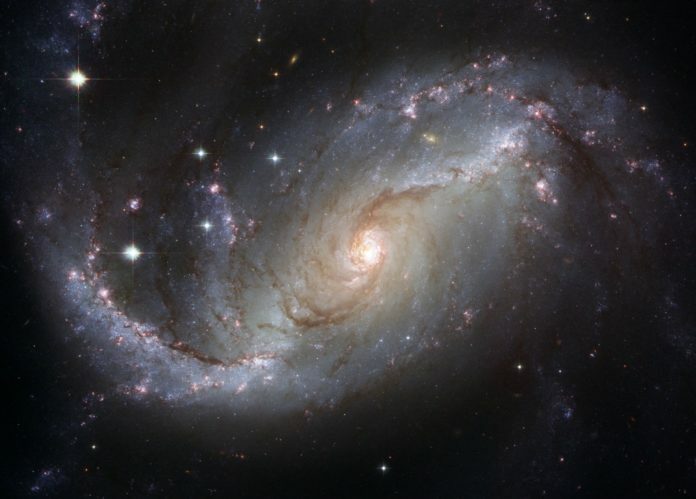 Looking Into Space – How telescopes help us see far into the universe. Eclipse Lesson Plans – A good selection of lesson plans with a focus on solar and lunar eclipses. Solar Eclipses – A large resource site with photos, information for educators and more, with a focus on solar eclipses. Eclipse & Other Videos – A wonderful selection of educational videos featuring eclipses and other facets of astronomy. What to See During an Eclipse – Things to look for and what to see during an eclipse. Tutorial – This educational page discusses what causes an eclipse to occur.